HONORABLE MENTION: Ardsley 5-3, Beekmantown 6-3, Broadalbin-Perth 5-3, Buffalo Burgard 6-3, Camden 6-3, Chenango Valley 6-4, Eden 6-3, Evander Childs-PSAL 6-4, Hampton Bays 6-3, Homer 6-2, Franklin Lane-PSAL 9-1, Lutheran-AIS 7-0, Mineola 5-4, Nanuet 5-3, New Paltz 6-3, Newark 6-3, Oneida 6-3, Petrides-PSAL 6-3, Ravena-Coeymns-Selkirk 7-2, Alfred Smith-PSAL 7-3, Springville 5-5, Stuyvesant-PSAL 7-2. HONORABLE MENTION: Albertus Magnus 6-2, Canastota 6-2, Dobbs Ferry 5-3, Dover 5-3, Elba/Byron-Bergen 6-2, Frankfort-Schuyler 5-3, Greene 6-3, Lansing 6-3, Liberty 7-3, Lowville 6-3, Mechanicville 6-3, Mercy-LI 7-3 Millbrook 6-3, Mynderse 5-3, Salamanca 7-2, Sullivan West 6-3, Tully 5-3, Wilson 6-3. HONORABLE MENTION: Canajoharie 5-3, Chester 7-4, Clymer 7-2, Dolgeville 5-3, Ellicottville 7-2, Elmira Notre Dame 5-3, Letchworth 5-3, Moriah 5-5, Portville 5-4, Salem 5-5, Sauquoit Valley 5-3, Silver Creek 5-4, Spencer-Van Etten 7-2, Stony Brook 5-3, Union Springs 5-2, York 5-3. 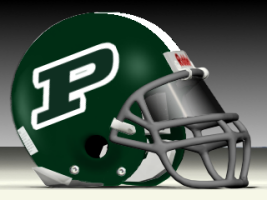 WINNING STREAKS (ALL CLASSES, 8 OR MORE WINS): Maine-Endwell 25, Hoosick Falls 13, Burnt Hills-Ballston Lake 12, Babylon 12, Lawrence 12, Erasmus Hall-PSAL 12, Canisius 11, Randolph 10. 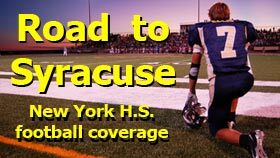 LOSING STREAKS (ALL CLASSES, 12 OR MORE LOSSES): Solvay 24, Yonkers Roosevelt 20, Canton 18, Central Islip 17, Buffalo I-Prep 16, New Hartford 16, Johnstown 13, Elmira Thomas Edison 13, New York Mills 12.